The internet is a cesspool of cringe. For some reason, people feel comfortable posting their most embarrassing pictures or saying their most idiotic thoughts. Perhaps it’s because they’ve convinced themselves that no one is paying attention, when in fact, it’s the complete opposite. Everyone is watching. You can’t say or do anything these days without it ending up on some meme account. For those who are prone to doing dumb things, this poses a few problems. For people like me, who prey on those types, it’s entertainment. When you see the girl posing with her Grandma for a selfie, you’ll know what I mean. If you own a katana, support atheist activism or wear a headset and use the phonetic alphabet while playing Call of Duty then this kiosk has everything you need. Not sure where to begin? Maybe try pairing the leopard print fedora with the “Me Gusta” meme t-shirt. It’s a look that screams “my Second Life character is the hottest girl I know.” Looking for something more reserved? 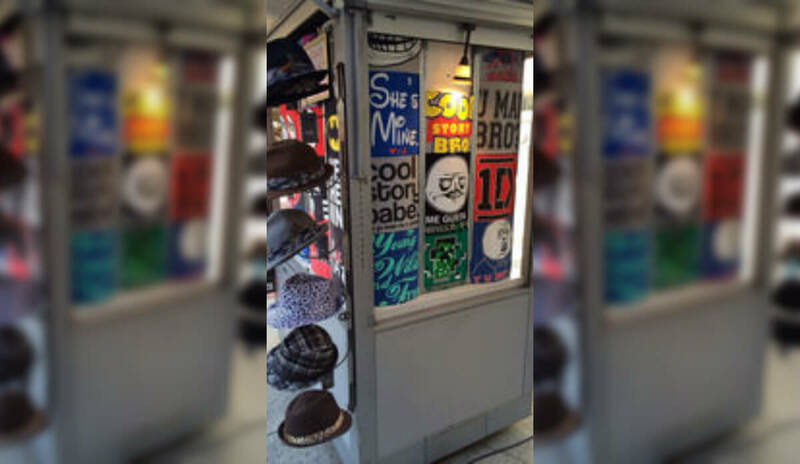 The “cool story, babe” tee and plaid hat are a perfect combination to wear around mom’s basement. Working in a restaurant kitchen is akin to running a roller coaster. At peak hours, you’re so slammed that sometimes you can’t stop to scratch an itch. Then the place empties and all of a sudden you and the rest of your staff have nothing to do. Eventually, boredom sets in, your imagination kicks into high gear, and before you know it, you’re taking pictures pretending to be captain culinary or something. 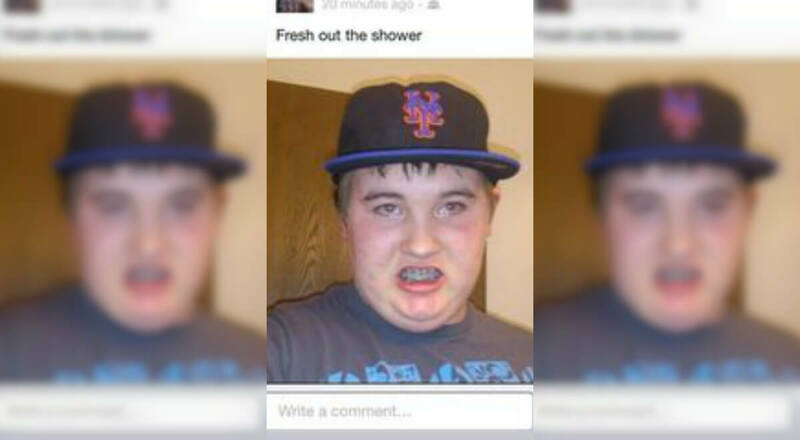 In his defense, it’s a perfect picture for the Facebook profile or Snapchat story. 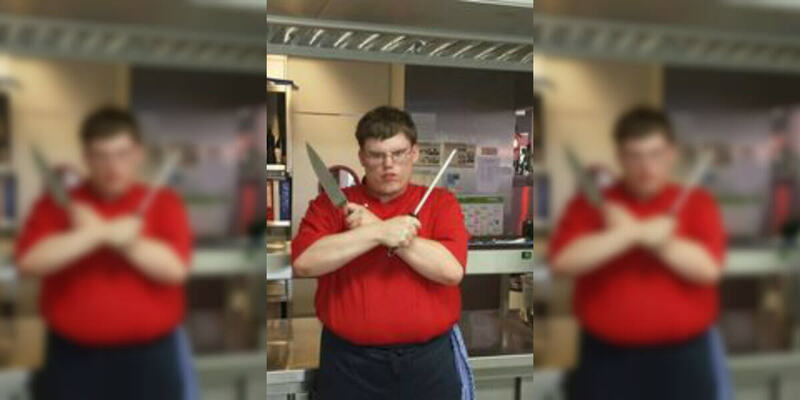 Who knows, maybe this is the pic that makes him Insta-famous. 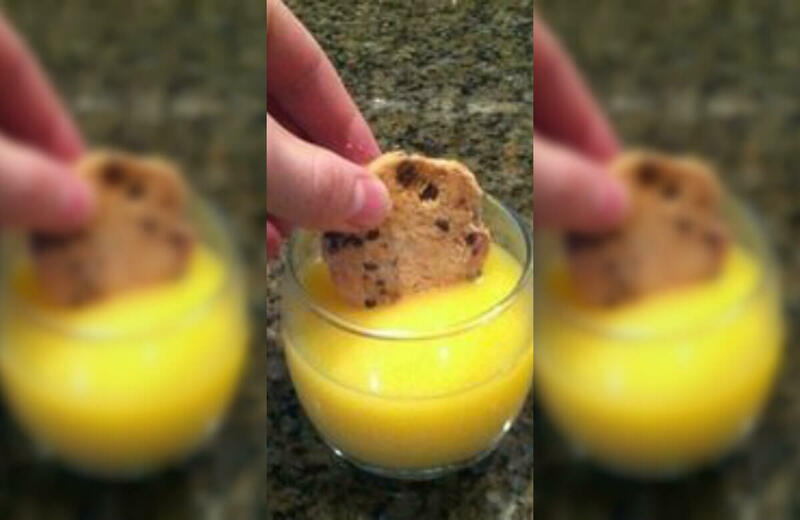 C’mon, cookies and orange juice? 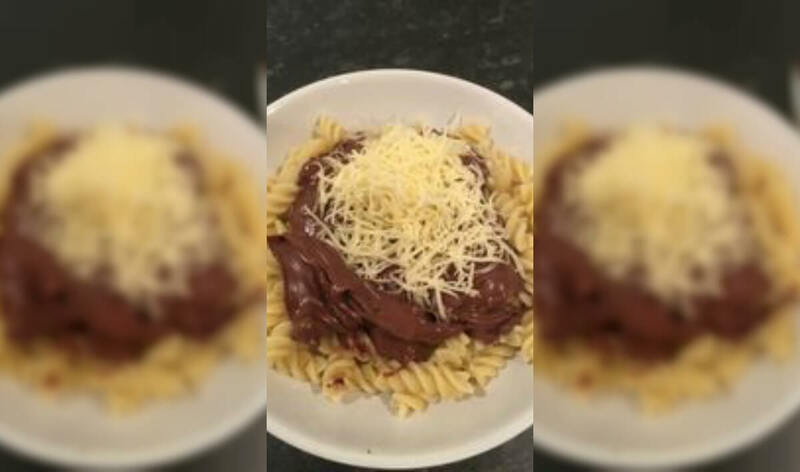 There’s no way that this actually tastes good. I don’t really care to find out, either. I’m a chocolate chip cookie and milk guy. Every night before bed, I used to pour myself a tall glass of milk, rip open the bag of Chips Ahoy, slide the tray out, and munch an entire row. Sometimes I’d let one of them break off and fall to the bottom of the glass so that when finished drinking all the milk you had a mushy, delicious cookie you could fish out with a spoon. Mmmmm, SO GOOD! Girlfriend or not, this dude’s selfie game is on fleek. 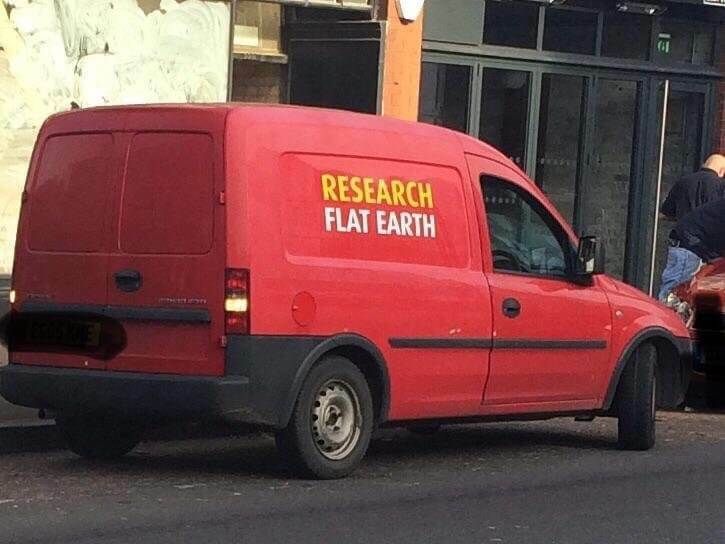 If it wasn’t for the car’s reflection, he probably would have gotten away with it. Perfect arm angle, clear photo, great job. He’s clearly done this before. The question is, how many times? How many people has he made up? Parents? Friends? Does he have any? Or have we just discovered the loneliest kid in the world> So many questions. The hospital is the last place anyone should be dressing up for. Wait times are unbearable and the chairs in the waiting room are uncomfortable, so it’s only a matter of time before you begin to look tired and disheveled. Hospital attire should be limited to jeans or sweatpants and a sweater. Who are you impressing? Everyone there is at their worst. Trust me, no one is judging… except for the doctors because they judge everyone. That’s just how they cope with the immense pressure that comes with the job. We get it, pal, your family buys Apple products. I bet these are the type of people who camp out in front of the store and wait in line just to get their hands on the latest Apple technology. 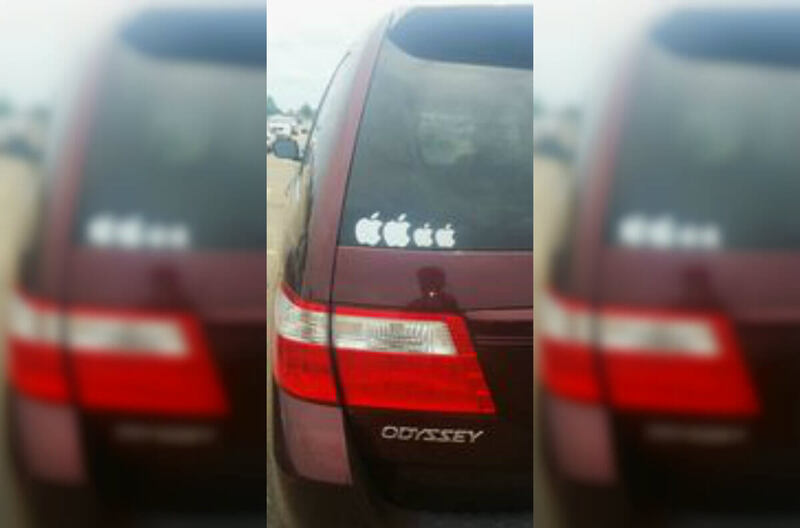 No offense to anyone who drives a Honda Odyssey, but maybe if this family of four wasn’t so hell-bent on upgrading every time a new iPhone was released they’d be riding in style. I mean, it’s just two kids, how much room could they possibly need? Family car decals are cringeworthy already and this is worse. Aren’t grandma’s just wonderful? They’re always so eager to dote on their grandchildren and lay a helping hand when needed. Like when you needed money for a shirt you wanted, grandma was there to help. When you were in college and exam period kept you so busy you had no time to cook, of course Grandma whipped you up a batch of her famous meatloaf. 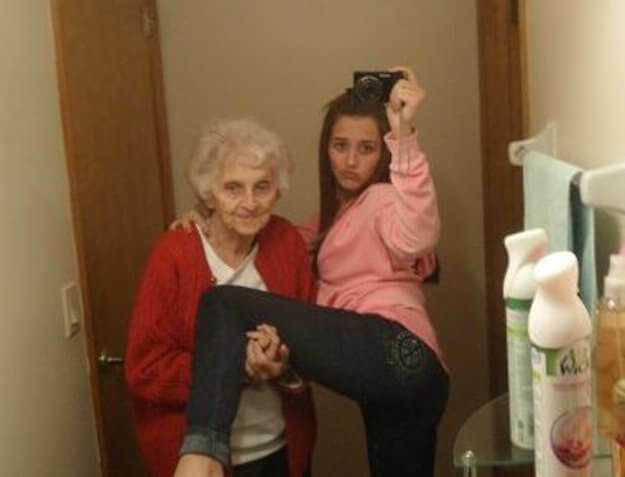 Or in this instance, when her granddaughter just couldn’t quite nail down the suggestive pose for the picture she was planning on sending to her 30-year-old trucker boyfriend, Grandma was there to help. God bless you, mema. The answer to that question is simpler than people think. I, for one, love myself. Who doesn’t? Self-love is important. If you can’t love yourself, how can you expect anyone else to love you? 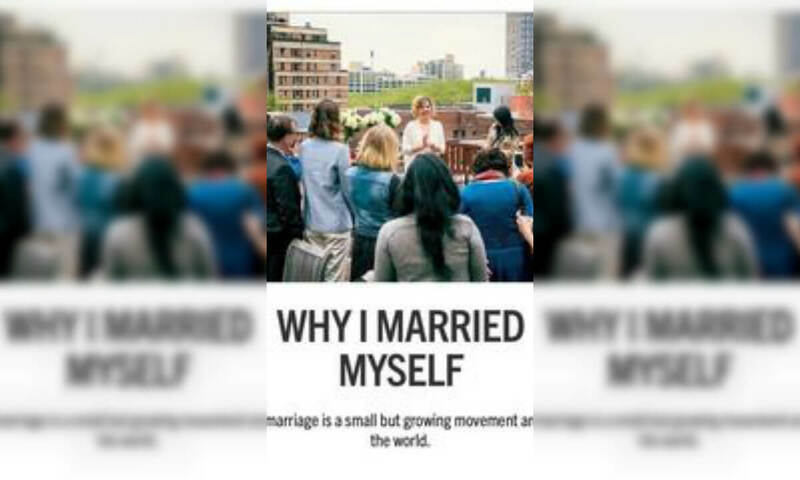 Self-marriage is just an expression of that. It’s a formal commitment to oneself. It’s a way of saying, “I’m all about me and there ain’t a damn thing anyone can do about it.” I respect that in people. You can learn a lot about a person by the state in which they keep their car. People treat their cars like a secondary household. Most keep them pretty clean with the exception of a stray burger wrapper or two. 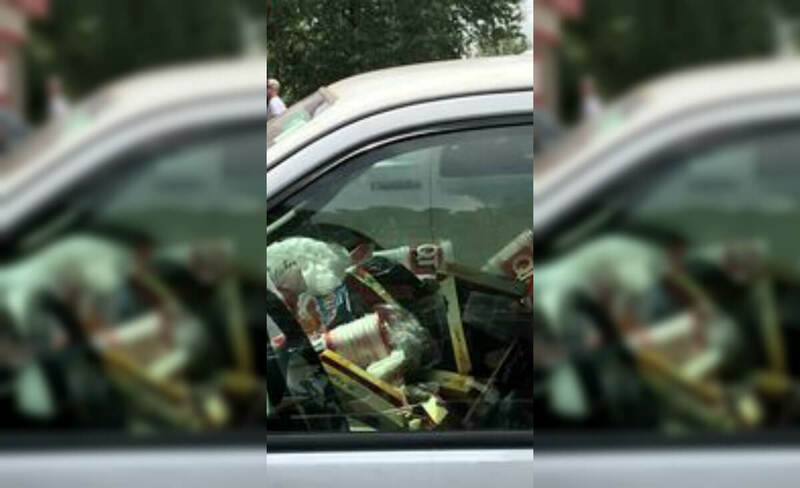 Whoever owns the vehicle treats it like a garbage dump. You can imagine what that person’s house looks like. Like, at least open a window or something. I know that look. That’s the look of someone who used way too much shampoo and got it all in his eyes. We’ve all been there before. It burns and no amount of water or eye rubbing will make it any better. Or maybe it’s the thousand yard stare drunk people have after spending the day at their local watering hole. 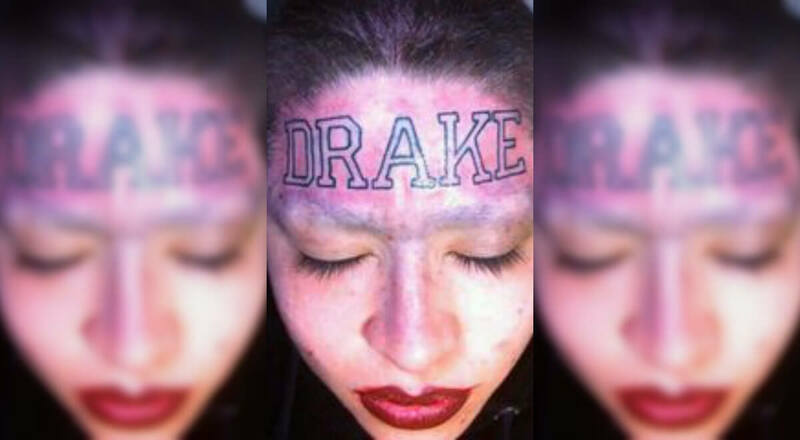 Either way, it’s not a good look. For those of you old enough to remember the Tv series OC, its subpar season four featured then up-and-coming actor Chris Pratt. In one of the episodes, Pratt’s character takes Summer Roberts played by Rachel Bilson on some spiritual quest to find her spirit animal. Don’t ask me how I remember this, I just do. So I figured I’d offer a little context. It’s apparent men these days will say literally anything to impress a girl. Our would-be bad boy who probably doesn’t even have his driver’s license thinks he’s going to wow the pants off his crush with a few short stories, each one more unbelievable than the last. 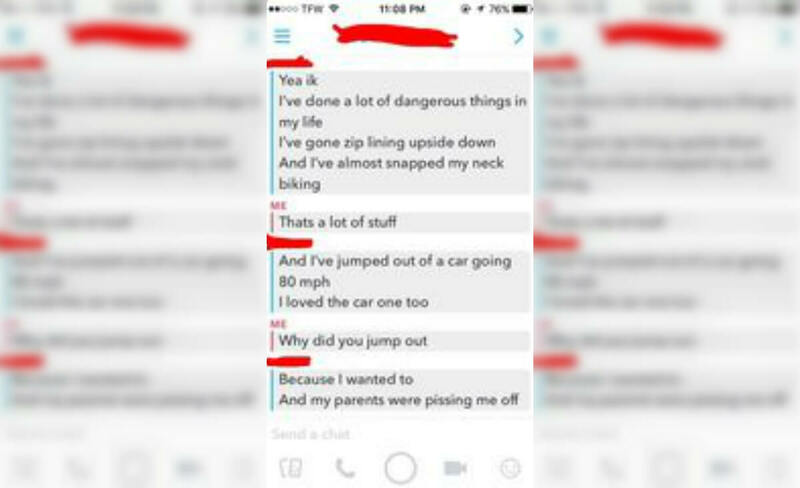 For those who don’t know, 80 miles is well over the highway speed limit, so if what he said is true he wouldn’t be texting. Just saying. In the words of Queen B, “If you like it then you should have put a ring on it. Don’t be mad once you see that he want it.” Don’t let past history get in the way of you being with the woman of your dreams. 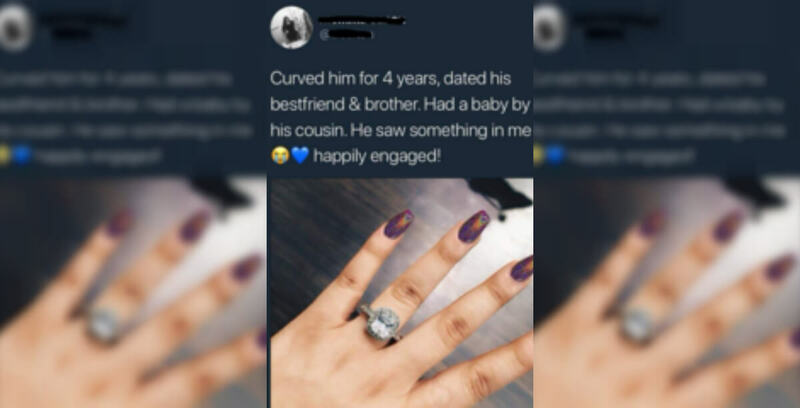 Who cares if she slept with your brothers, cousins and half the men in your hometown. If you see something you want, take it. Sorry, that came out wrong, but you know what I mean. Celebrities who openly believe the earth is flat have possed major problems for school teachers trying to teach their students otherwise. Boston Celtics point guard Kyrie Irving has admitted in interviews that he thinks the earth is flat. Kids who look up to the NBA superstar are convinced what he’s saying is true. Middle school students have failed science tests because of this. 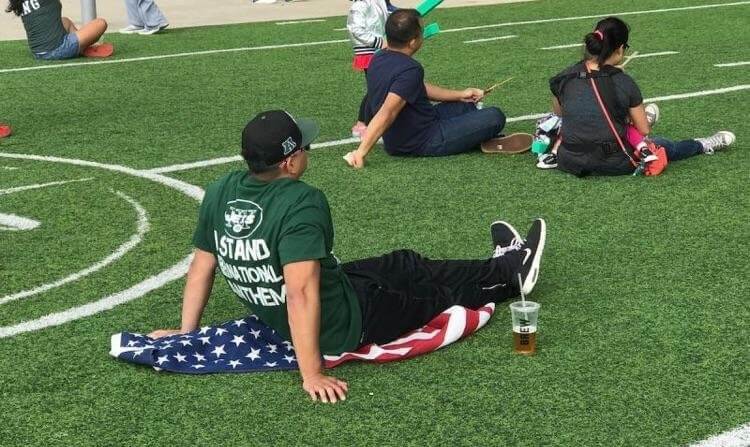 This Jets fan wearing a custom shirt in protest of the players who he claims are disrespecting his flag, country, and those who serve it by kneeling during the anthem drapes the American flag on the ground and sits on it.That’s kind of hypocritical. Then again, he is the fan of a team that convinced its fanbase that putting together a bad team in order to lose games would benefit them in the long run, then when the season finally rolled around, did the complete opposite. Get used to mixed signals. Then again, we are in progressive society wherein gender is a social construct. 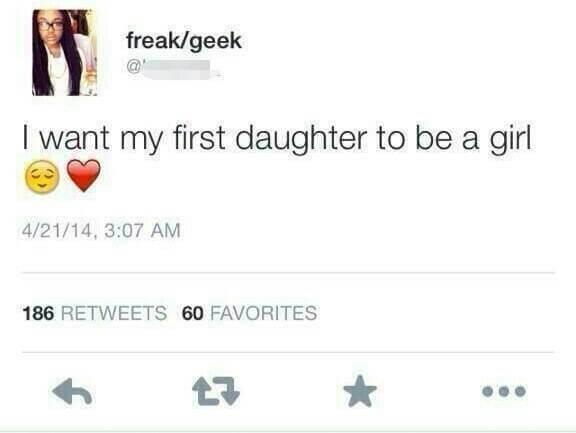 Her first daughter can be anything she wants to be. I once read a story about a guy who claims he is an African leopard named Shrowd trapped in a human’s body. Seriously, he wears a tail and leopard ears and runs around trying to hunt duck. Look him up, it’s crazy. 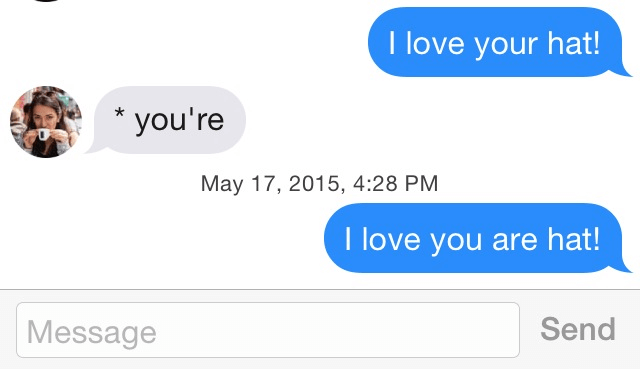 Even if the other person was, in fact, wrong, no one likes a grammar Nazi. Just let it be. The point of language is communicating an idea and in this instance, the meaning of the sentence is pretty clear, so why bother? The more you do this, more likely you are to have it blow back in your face like Ms. Classy in the above picture. 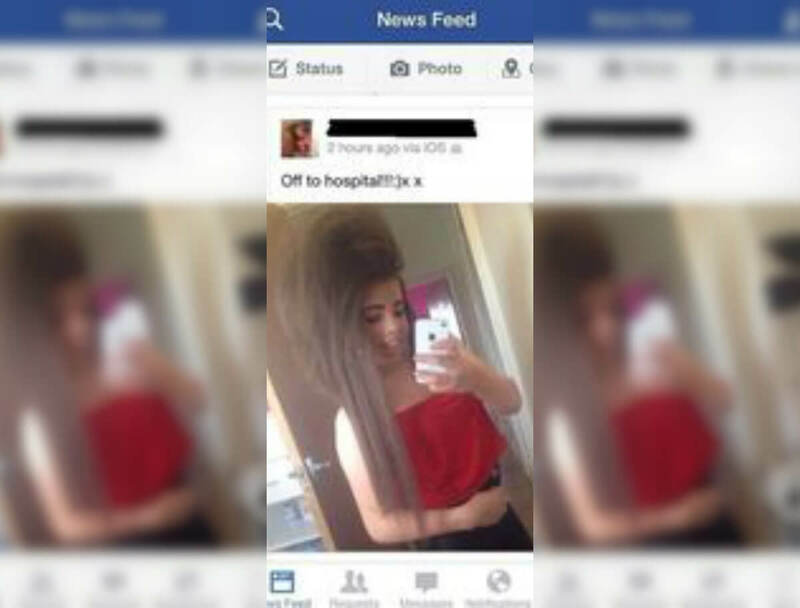 Oh my, what on earth has she done to her poor baby. Is this even legal? This pictures did the rounds back in 2015. As the story goes, a parent wanted her young daughter to be beautiful so she fitted her with these luscious, bushy Cara Delevingne-esque eyebrows. 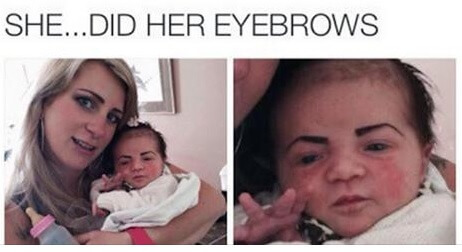 It quickly sparked a fad on the internet wherein parents uploaded pictures of there babies sporting funny looking eyebrows drawn in marker.